Only 16 days until Christmas! 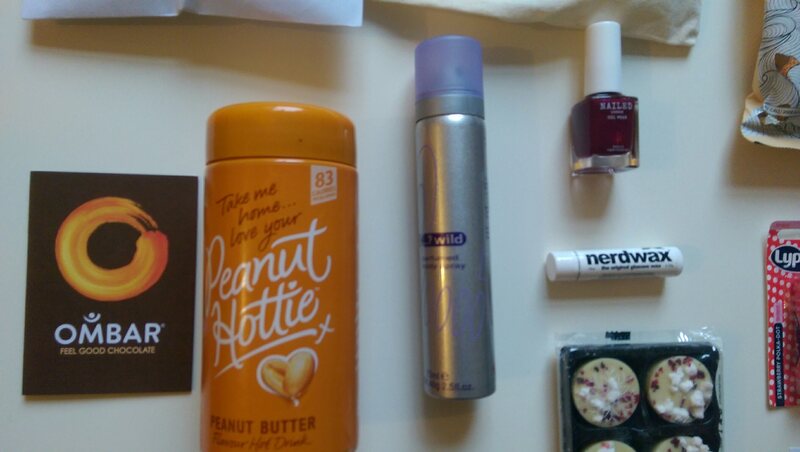 As I mentioned a few posts ago, I received a Bloggers Review Box from The Press Tent. Within the box I received a variety of items which I’ll go through now and I’ll leave links as well so you can check them out too. Cream Cleanser – Bee Good. This will be something new I’m going try because I’ve never used a cream cleanser so this should be something to experiment with I guess. 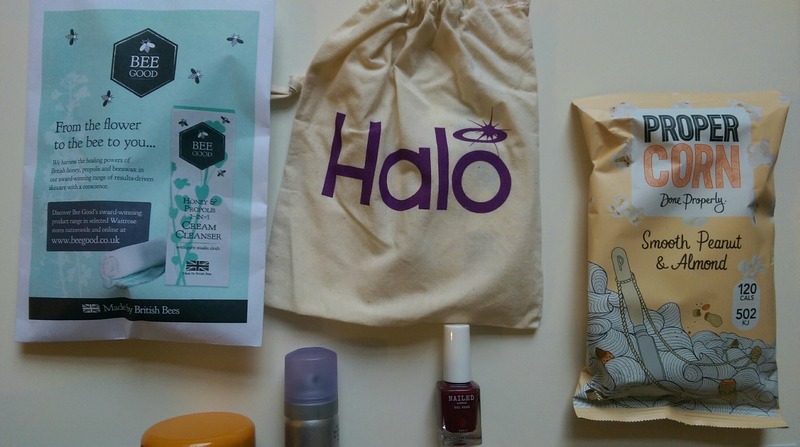 Deodorant Wipes – Halo. When I took a look at these my first thoughts were ‘how compatible..’ because these are perfect for on the go rather than having a spray deodorant to carry. Smooth peanut&almond popcorn – ProperCorn. I tried these and I do love popcorn and I’m quite a big of these going to have to purchase some more YUM! Coco Mylk – Ombar. I ate my chocolate bar after the event and honestly it was so nice like its own twist on chocolate which I love. Peanut hot drink – Peanut Hottie. I haven’t actually had the chance to try this but I’m hoping its going be a winner as it looks so nice on pictures. So wild – So…? I couldn’t be happier with a So…? spray because I loved these when I was younger and still do so YAY me!! Gel Polish – Nailed London. This is the perfect autumn/winter shade and I’ll be doing a blog post on this real soon. Nerdwax As I don’t wear glasses I don’t know how I’m going test this, but I will one way or another. Lypsyl Lypsyl is perfect for this time of the year as lips get chapped easily so this is perfect. Christmas Mess – Hotel Chocolat. I fell in love. I mean these were so tasty. If you every stop by Hotel Chocolat grab some!! I loved everything within the box. I mean somethings I have yet to try. 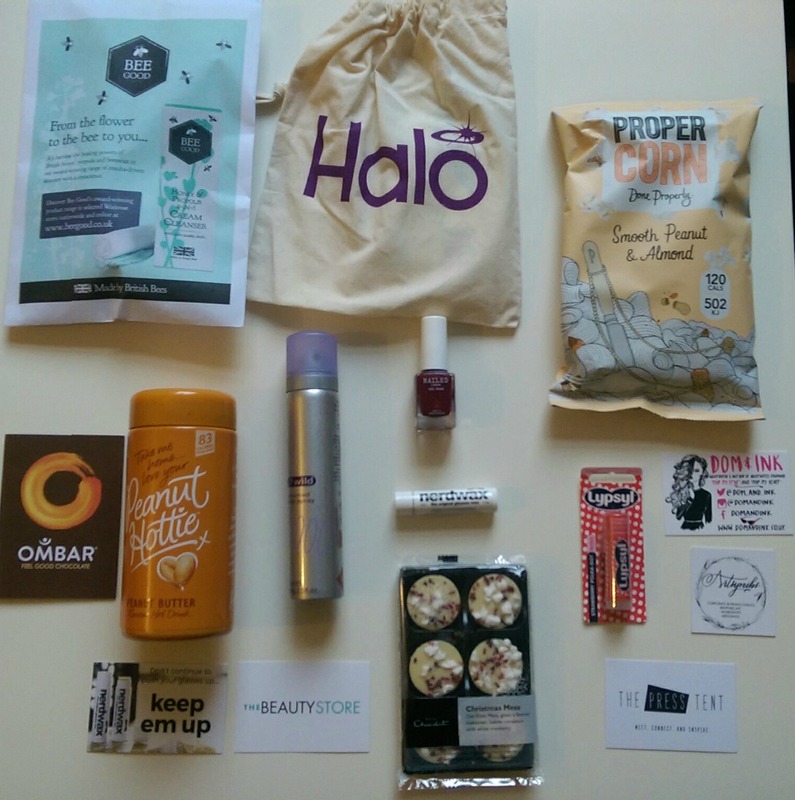 Thank you so much to The Press Tent for the oppertunity to review their blogger box. Can’t wait for another one! Whats your one love this A/W? Comment below.